Our cosmetics are so rich in active ingredients that there is no room for commonly used passive fillers. Even basal substances used in ANNA PIKURA cosmetics – like musk rose seed oil, jojoba oil or kpangnan butter – are full of priceless active substances. Every ANNA PIKURA product is a regeneration and nutrition bomb as well as a scalpel-less aesthetic medicine surgery in the comfort of your own home. Highly effective natural ingredients constitute between several dozens to one hundred percent of the total mass. This is uncommon for other brands. Unlike conventional cosmetics, ANNA PIKURA products do not stop at epidermis, but penetrate much deeper and work for much longer periods, so effects are not only visible, but long lasting as well. Natural ingredients, biocompatible with the skin, initiate regeneration process in every skin layer, from epidermis deep into dermis, and, if used on a regular basis, effects are comparable to aesthetic medicine. The eternal question: “What should be done to allow deep skin penetration of nutrients?” is nonexistent with ANNA PIKURA cosmetics. Unlike with other cosmetics, epidermis does not resist our products, but gratefully absorbs precious ingredients, because all of them are biocompatible with the skin. Some of them – like biologically active collagen – reach other tissues as well, to initiate their regeneration. Even the most renowned Western brands hesitate to price their creams as high as $400, but our Sacrum – the most expensive of Polish creams – is worth its price. Skin is an important organ and there is no room for make savings on it, so the substances applied need to have maximum efficiency and safety at the same time. AP BIOAKTIV collagen is a revolutionary and completely natural cosmetic, manufactured by the newest biotechnology. In luxurious botanical biocreams, we use concentrated natural oils – like sandalwood oil or vetiver oil – instead of synthetic scents. Moreover, we substitute synthetic basal substances with natural highly nourishing butters – like shea butter – or plant oils, like avocado oil, tucuma oil or evening primrose oil. In some of our creams, we’re even substituting water with flower waters, distilled from essential oils. The usage of most valuable ingredients doesn’t mean that ANNA PIKURA is trying to deprive everyday people of pleasure and benefits of their use. 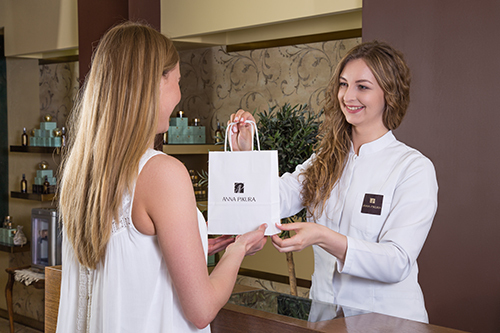 Regular visitors to our website (annapikura.com) are waiting excitedly for new surprises, because there is always a chance to buy an expensive cosmetic for a decent price. Low cost, wide availability and simple storage are the reasons behind significant usage of petroleum products in ordinary cosmetics, they are, however, non biocompatible with the skin and hinder skin penetration. 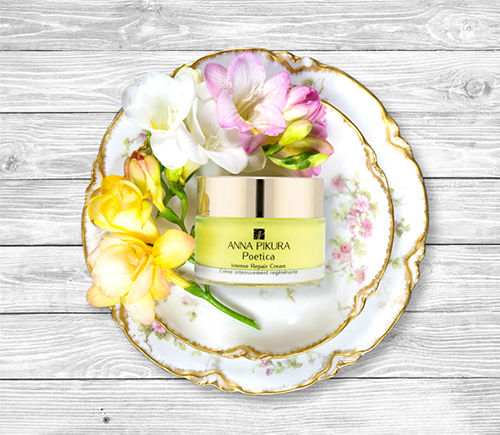 ANNA PIKURA offers also many luxurious long-term effective botanical bio-creams, able to improve well-being even in case of sensitive skin due to natural deep penetration capability. 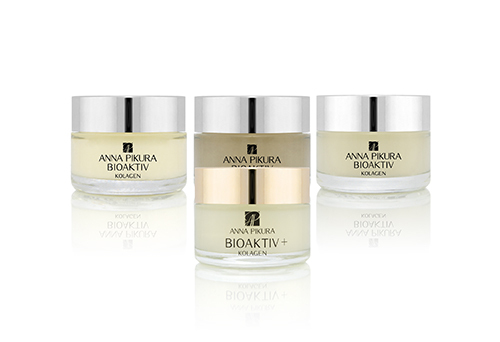 All of ANNA PIKURA products consist entirely of substances taken from nature, mild and biocompatible with the skin. Colorants and scents are of vegetable origin, friendly even to sensitive and even allergic skin. Precious natural ingredients need to be stored in a proper way, so ANNA PIKURA cosmetics are packed in glass containers instead of plastic ones. Due to the presence of highly active natural substances and lack of artificial preservatives, our products have to be stored in a refrigerator and taken from containers only by a sterile teaspoon. “First, do no harm” – ANNA PIKURA adopted this well known Hippocrates rule as its own motto. None of our products or procedures can pose a risk to health or beauty of our customers. According to this rule, we do not use any synthetic petroleum products as preservatives, colorants, or fillers, harmful for the skin during long-term exposure. In our Clinics, we do not provide any aggressive or invasive therapy. 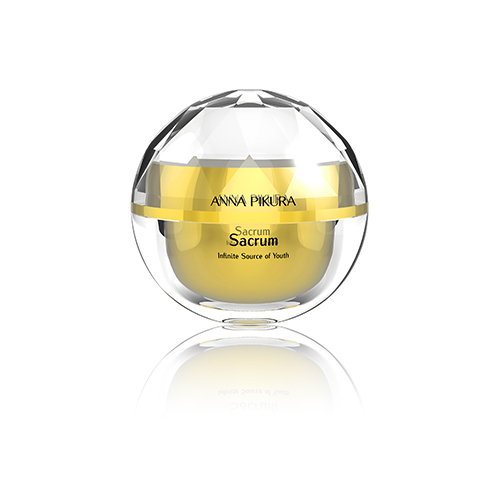 Range of ANNA PIKURA products covers different individual needs with complex care. Holistic approach contains several steps, from biologically active collagen to hyaluronic acid to botanical bio-cream, adjusted to the needs of the skin. 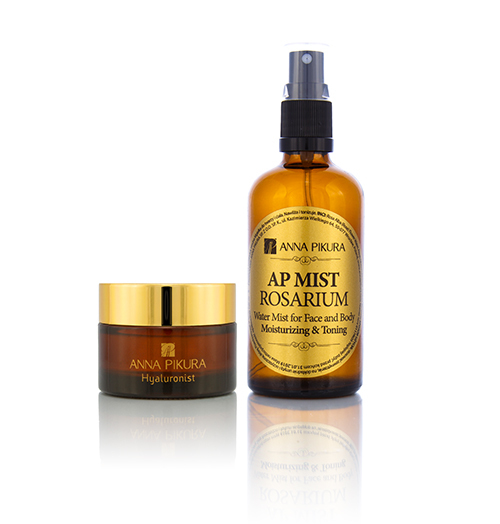 An integral addition is AP Mist Rosarium, vital during application of collagen and hyaluronic acid, but can also serve as a tonic and a moisturising refreshment. ANNA PIKURA cosmetics are intended for different parts of face and body, among them collagens for face, neck and decolletage care, for body care, for head skin massage and even for intimate care. Our holistic approach is best shown by our Sensation nutricosmetic – collagen in capsules, intended for internal use. There is a product too sensitive and precious to withstand standard conditions for ordinary cosmetics and therefore it is unavailable in perfumeries: biologically active collagen. AP BIOAKTIV Kolagen, available in several versions, consists of pure fish collagen, obtained in a process adjusted to preserve all of its biological activity (what was impossible until now). This product supplements our own collagen, which is vital structural protein in our body (including skin). There is no other cosmetics capable of competing with that regeneration force. Collagen is a base of holistic care by ANNA PIKURA, increasing effectiveness of our other cosmetics. Important for ideal moisturizing and young look of our skin, it fills empty spaces in the scaffolding made of collagen in the dermis and allows for efficient distribution of nourishments. There is a decrease in the level of hyaluronic acid (and in the level of collagen too) as time goes by, but Hylauronist – our innovatory product – contains the highest possible concentration of hyaluronic acid allowed for individual use (3%). This is in fact a beauty studio in your home, allowing you to get younger look instantly and enhancing distribution of nourishments from creams. Our clinics in Wrocław, Kraków and Gdynia offer possibility to try all of ANNA PIKURA cosmetics in professional environment, you can also discover advantages of our own methods of beauty care: our manual treatments and massages as well as procedures performed with technologically advanced devices: needleless liposuction, Revitalization AP, vacuum dermo-massage or photo-rejuvenation with Dual-Laser SPTF+. ANNA PIKURA Clinics offer solutions for every beauty issue – from skin capillaries to acne to symptoms of aging. 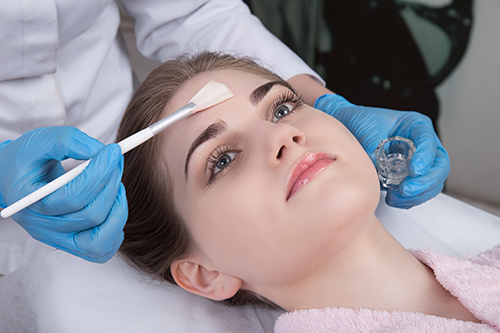 Our aesthetic medicine specialists perform most advanced noninvasive methods of beauty enhancement, including platelet-rich plasma, PDO lifting threads, as well as hyaluronic acid or botox procedures. “My skin is exceptionally problematic – oily, sensitive and redness prone at the same time. I have used AP BIOAKTIV Kolagen White for several months (along with ANNA PIKURA creams) and I cannot imagine a day without it. A couple of times while away from home I had to use some regular cream and the difference in comparison to collagen was immense. Collagen White soothes irritations on my face, accelerates healing up pimples. The skin is brighter, fairer and moisturized, no dry peeling skin which was my problem earlier. Besides with makeup applied after the application of collagen White + cream Sensilogy, the face stays matt much longer than after regular cream, which is a big advantage.